Millions of Easy-Bake and similar toy ovens have been sold over the years, yet there are few cookbooks designed for use with them. Tiny Bites fills that gap with recipes ranging from super-easy brownies to more complicated pies and yeast bread. Children can make pizza, hamburgers and quiche as well as cakes and cookies. There are even instructions for making a pumpkin pie from the eyes, nose and mouth of a jack-o-lantern. All recipes are accompanied by color photographs. 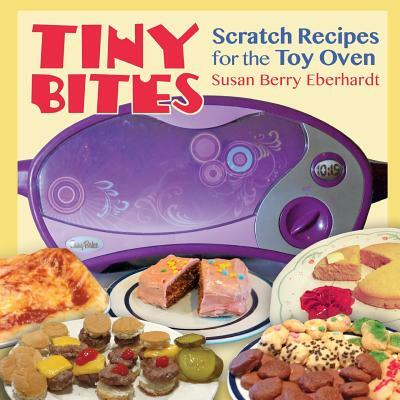 Susan Berry Eberhardt began baking at the age of eight with a vintage toy stove. Since then, cooking with her children and grandchildren has been a joy. She lives in Westchester, NY, with her husband, Peter.